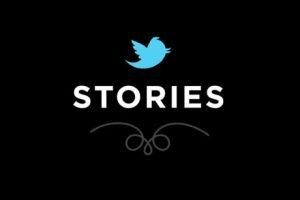 Twitter announced a new email delivery service called “Stories” where you can receive a weekly email digest delivered to your email inbox. The weekly summary will feature “the most relevant Tweets and stories shared by the people you’re connected to on Twitter,” according to Othman Laraki, Director, Growth and International at Twitter. The email will be in digest format similar to their “Discover” feature with their 140-character signature. The digest will feature tweets and links to articles and blog posts shared on Twitter by people you follow, even if you do not follow the original writer of the post and articles. Users can also see what has been favorited or retweeted by people they follow by clicking on “view details.” You can then favorite, retweet, or reply to those tweets from there as well. Here is a preview of what the new Twitter Stories email looks like. Many Twitter users will have already received their first email form Twitter. Stories is based from technology from Summify, which Twitter acquired back in January that allows for the creation of personalized social media digests. This announcement is also right on the heels of Twitter’s acquisition of RestEngine, which will further improve the digest over more time. So what are the big takeaways here? Why did Twitter add this feature? And more importantly, what are the potential benefits for marketers? For Twitter, this is another potential place to advertise. While Twitter users include about 10% of adults in the United States and while Twitter is growing at a rate of about one million users a day, it still wants more reach. With this new feature, Twitter can reach inactive or less active users. And of course, not only will Twitter reach less active users, but your ads could potentially reach them as well. Consumers trust it, we always return to email in some way or another. This is good for marketers. Your message can reach more people. Via this new Stories feature, your team can learn what kinds of articles are popular in your audience, not just in your industry. You can also learn how much of what is being shared is relevant to your business and to recent news. An even bigger reward for this is that your content and your tweets could get very popular and ultimately have a longer lifespan online. As it is a weekly digest, your content will continue to gain hits longer rather than getting an email a few hours to a day later after it is posted. Another advantage to this is that you can find popular conversations to participate in and contribute to. You have the opportunity to be seen, add blog comments, parallel conversations on Twitter, Facebook and other platforms. You could even take this opportunity to respond to the featured/popular content on your blog.